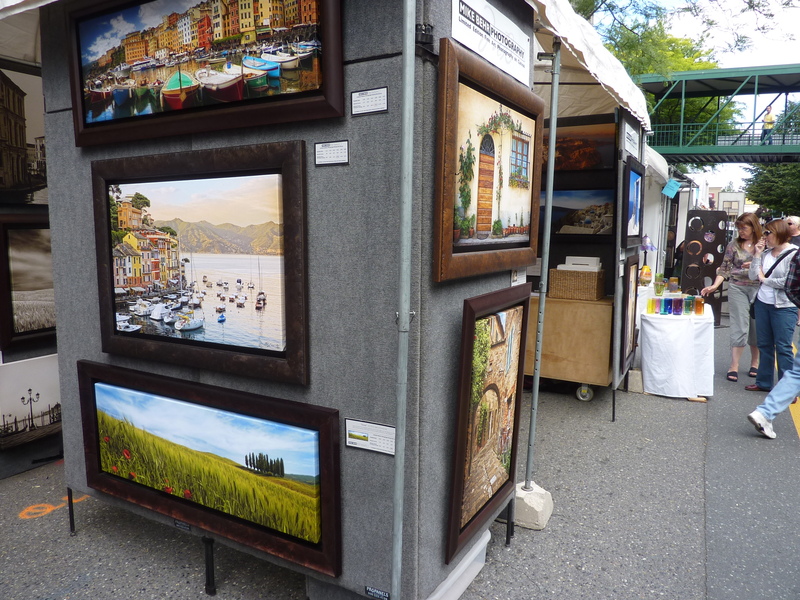 The Bellevue Arts Fair celebrates its 65th year! It takes place during the last weekend of July typically and this weekend is it! 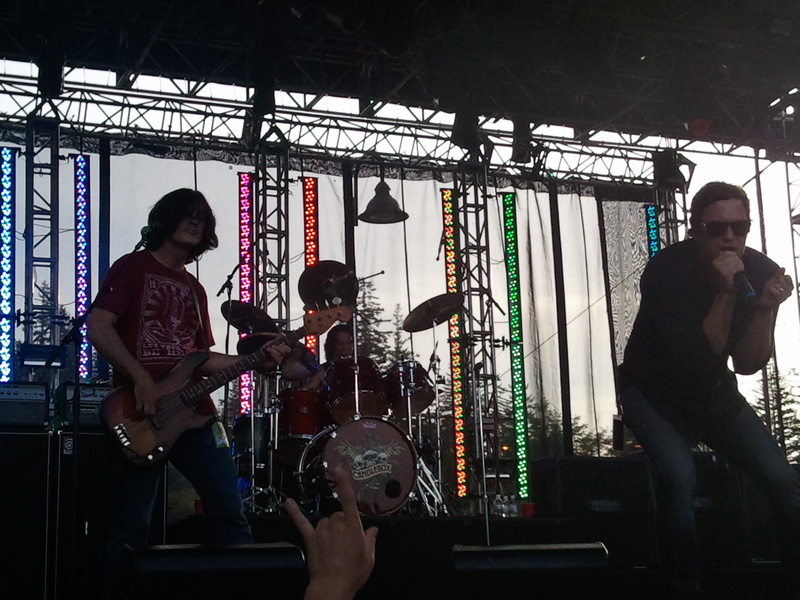 July 29-31, 2011. So, there are two days left! It is ranked among the top 100 fairs in the United States and currently known as the Bellevue Arts Museum (BAM) Arts Fair. This event brings artists from all over the country, offering a variety of high quality goods. The BAM offers free admission during this three-day event. The fair is made of three separate sections – the BAM Arts Fair section at Bellevue Square, Bellevue’s 6th Street Fair, and Bellevue’s Festival of the Arts. There is live entertainment, a demonstration stage and check out the Chalk Mural and/or show off your own artistic side by “chalking” it on NE 6th Street. 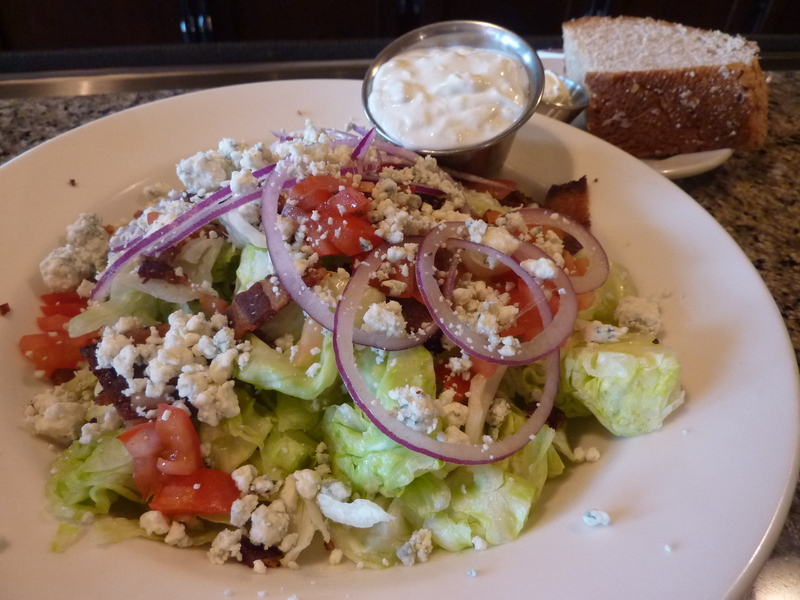 Concessions are here too…support your local rotary or kiwanis or try the renowned burger from Skillet…it won’t disappoint! (although mine was a bit undercooked for my liking). Note to those wanting to bring pets…I love them but crowds of this magnitude make it unsafe for our pooches. We are concentrating at looking at the art and not what is directly beneath us. I happened to hear a poor little guy yelping away as his paw was most likely broken. Enjoy the art, enjoy the sun, enjoy your friends or family! A great event for a get-together! Hi! This has got to be one of the best Northwest experiences ever! Hellams Vineyard in La Conner, WA hosts 2-3 wine and dinner cruises each summer. This cruise was on a beautiful evening in July with the pouring of Barrister Winery wines. Mystic Sea Charters takes us on a tour via the vessel Mystic Sea http://mysticseacharters.com/index.php So fabulous! 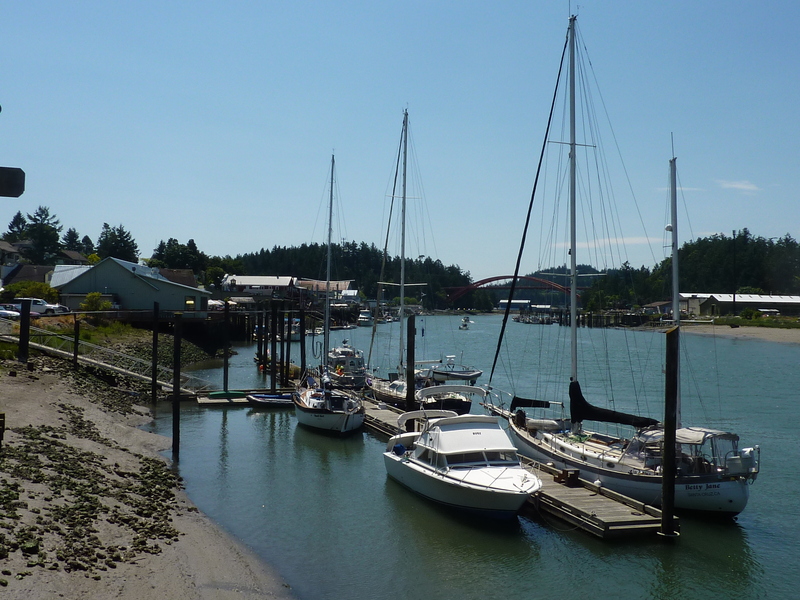 The cruise started out in La Conner, moving down the Swinomish Channel to Saratoga Passage, Deception Pass, and then a stop in the waters of Bowman Bay for dinner. 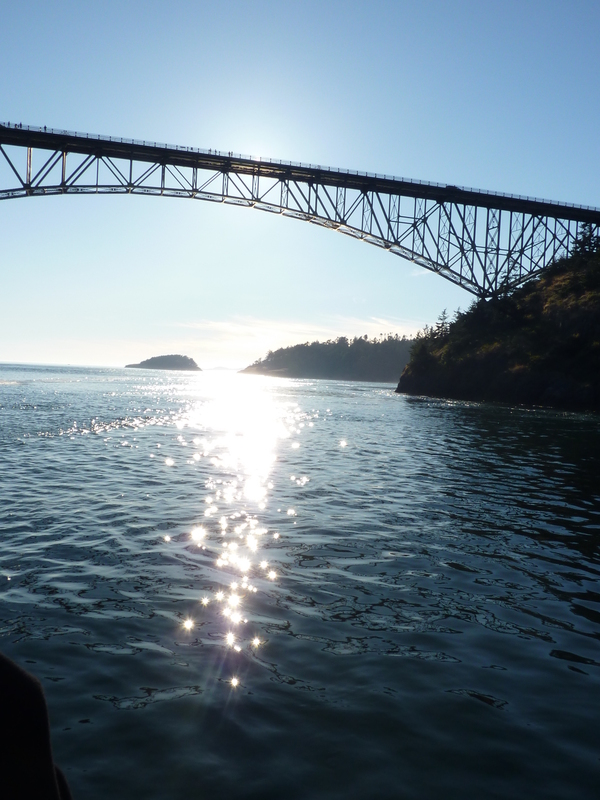 Have you had the opportunity of boating under the Deception Pass bridge? Give it a try. This particular tour was approximately three hours in length. Enjoy the outside deck or choose the protection of the elements inside. Beauty abounds! Glistening waters, tree-lined rocky cliffs, beaches, bald eagles, and sea lions were seen. The hunt was on at one point with a bald eagle chasing a seagull… he was ready for dinner. A sunset was observed. The crew is great and the captain has a fun sense of humor. Make new friends. 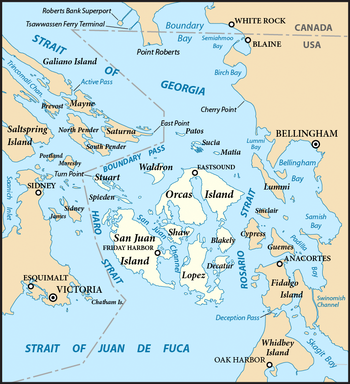 The Mystic Sea is based out of Anacortes and is known for their whale watching excursions. Book a custom trip or join in on an already scheduled charter. Check out the Mystic Sea Charters website for more information or the Hellams Vineyard site for their wine cruise schedule. http://hellamsvineyard.com/ When the weather is this flawless, this experience is one of the best out there! On a side note, I wanted to mention Morgan and Deena at the La Conner Channel Lodge for their tried and true hospitality. The Channel Lodge is a beautiful place to stay right on the water in downtown La Conner. http://www.laconnerlodging.com/. A good time was had in La Conner this July as the sun was shining, a nice breeze, blue skies, and a glistening channel was experienced. I was able to walk through town and check out the shops…which doesn’t take too long. Stay – La Conner Channel Lodge – a very nice stay! Most rooms in this hotel are located on the Swinomish Channel. Enjoy your veranda on a summer day. Read a book or magazine with your favorite beverage. A nice spread is served for breakfast…cereals, breads with spreads, cheese and ham, fruit, and top it off with coffee or juice. Complimentary wine tasting takes place on Friday and Saturday afternoons accompanied by a piano. And now, the Lodge Retreat, spa services! http://www.laconnerlodging.com/ Great service. La Conner Thai Restaurant – if you like Thai, you should like this. The Phad Thai (with Chicken) was satisfying as was the cashew stir fry. Rosario Beach – lovely! A great place for a picnic and for enjoying Northwest beauty. Volunteers were on hand to teach us about the rocky shores of Rosario Beach… the plants and animals that live within the tide pools here. 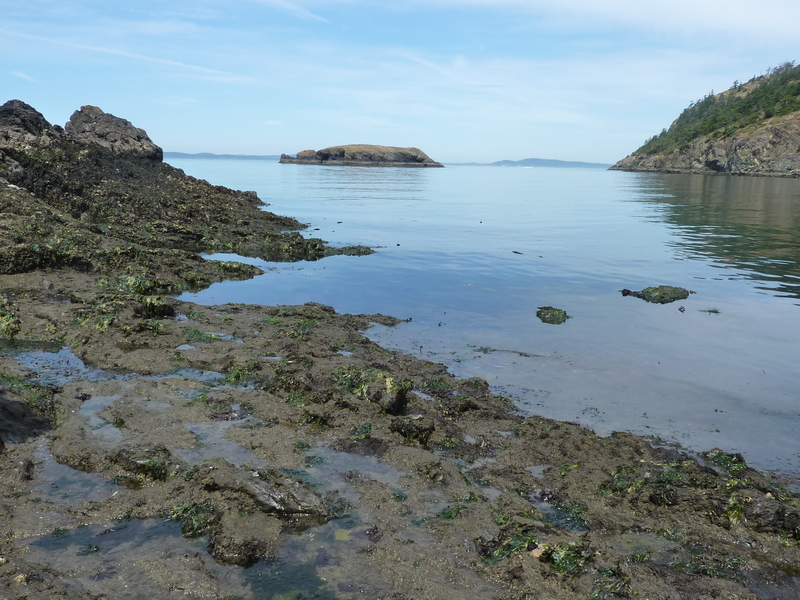 To protect the inhabitants of certain areas, it was suggested that we follow a rope trail and yes, we were still able to see the treasures that abound…hermit crabs, red rock crab, kelp, rockweed, chitons, and more. See July 2010 post for more on La Conner and Deception Pass area.